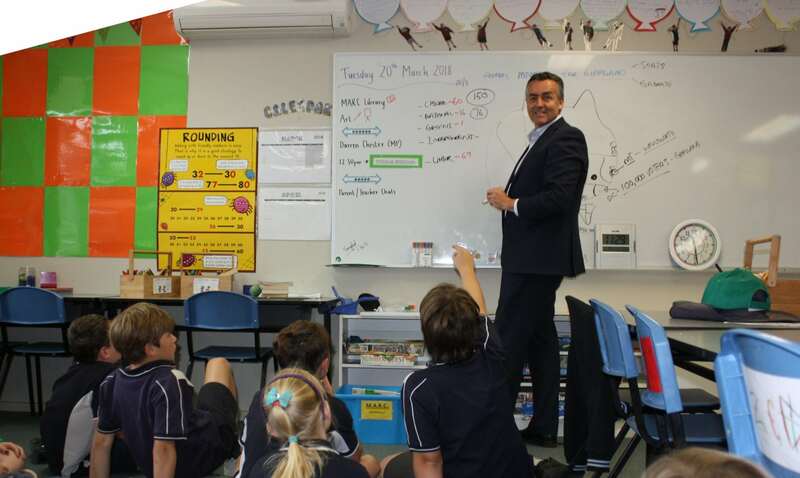 The Nationals Member for Gippsland Darren Chester says the Coalition Government’s acceptance of all the recommendations of a review of education in country areas will help improve opportunities for local students. The Coalition Government accepted the 11 recommendations of the Independent Review into Regional, Rural and Remote Education (IRRRRE), conducted by Emeritus Professor John Halsey. “All students deserve a quality school education regardless of where they live,” Mr Chester said. “We want more regional students to complete their schooling and go on to further study, training and employment. “As many students begin to look towards the end of their final year of secondary school, there’s still an enormous amount of uncertainty for their families about whether they can afford to send their child away from home to attend the university of their choice. “For many families in Gippsland, this is one of the most significant and pressing issues they face. Deputy Prime Minister Michael McCormack said the Halsey Review considered the key issues, challenges and barriers that impact on the educational outcomes of students living in regional, rural and remote communities. “The Coalition parties are the only ones that can be trusted to deliver for regional Australia,” Deputy Prime Minister McCormack said. “There’s clearly a gap between the city and the bush in the level of study or qualifications students achieve. “I’ve asked Australia’s higher education leaders to increase the transparency of the student accommodation options they offer and to guarantee places for regional, rural and remote students. “The findings from Professor Halsey’s report have also been considered as part of the Review to Achieve Educational Excellence in Australian Schools and they’ll inform our negotiations with states and territories on a new school funding and reform agreement starting in 2019. • tackling the information and communications technology challenges some students face outside of our major cities by ensuring every student can take advantage of remote learning opportunities that suit their needs.